As a photographer I sometimes want to create a single image from several individual images. 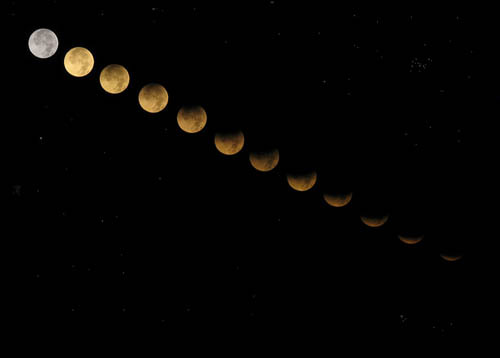 a lunar eclipse from August 29, 2007.
forget about your white balance. It can make a huge difference in the outcome of your shot. Shooting parameters: ISO 50, 1/20 sec at f/5.6. and chocolate candy. Coffee is optional, but may be needed by some this time of morning. Step 1: Go out and take some shots! however, get to see the moon go completely dark. 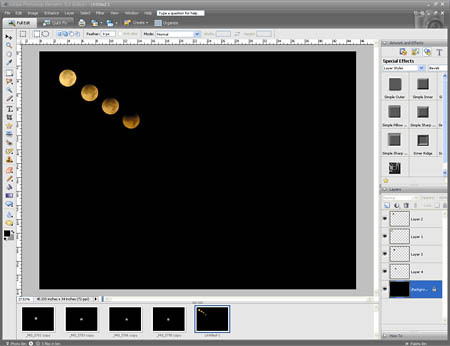 Step 2: Review the images and select which ones to use in the composite. looking for. Now to Step 3. Step 3: Open, copy and paste. 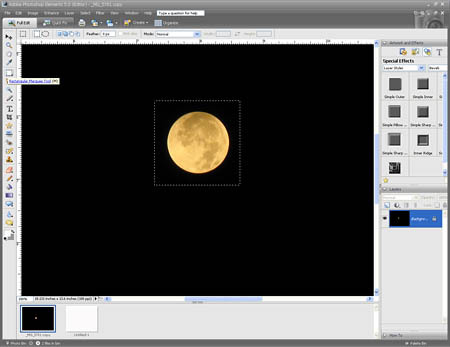 draw a square around the moon (see Figure 1). Next I cut the selection and pasted it onto a blank white background (see Figure 2). pasting, the next step was to color the background to a dark night sky. Step 4: Make a night sky. 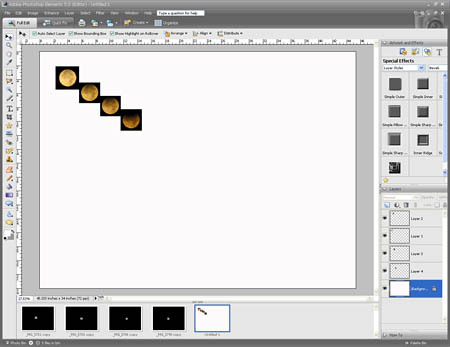 Tool to change the entire background to black (see Figure 3). Step 5: Resize, sharpen and save. composite of 12 images blended into one. experiment and have fun trying something new. Questions and comments are welcome.